Renting an RV by owner is a hot new way to go RVing and camping. You know how widely popular AirBnb is, well this is the AirBnb for RVs and camper trailers. I am a camper and as I am getting older I really don’t want to do the whole tent camping thing anymore. First of all it’s a lot of work to set up the tent when I get to my destination and then trying to keep it clean and at the right temperature is nearly impossible. Plus if you get any type of weather then it can be totally miserable and scary if it’s a really bad storm. I also have no desire to own an RV or camper trailer at this point in my life. I don’t want to own one because first of all I can’t afford it right now with all the upkeep and storage and because I don’t go camping enough to justify buying one. If we went camping a lot then maybe I could find a way to buy one but then again I really don’t want to bother with all the upkeep. So that leads me to renting an RV. You have a few options when it comes to renting an RV but the main one I am going to be talking about is renting an RV straight from the owner. So that means no hassle from rental agencies or dealerships. This is an amazing way to rent an RV from an owner. 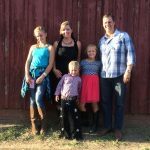 Basically how it works is the owner of the RV lists their RV on the RVShare website and puts pictures and all the necessary information with it. 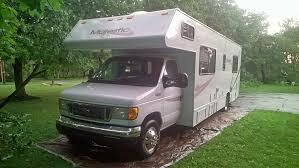 Therefore when someone is looking for an RV in that persons specific location they will find the RV for rent. It’s just like AirBnb but it’s for RVs. Click here for my review of RVShare. RVShare handles the money exchange deposits and everything dealing with money. So they act as an mediatory to make sure so one gets ripped off. I had a really good experience with it. Grant they are not perfect so you do have to use some common sense when it comes to renting an RV such as booking ahead of time and not waiting till the last minute to book because a lot of people take a long time to answer messages. Also do not rent one that looks like it is from 1985 because it probably is junk and will probably break down on you. They do have awesome insurance that you have to pay extra for and it covers you for everything except if it breaks down with mechanical stuff so that is why I say make sure it is in good shape. When you have one company that is killing it you always are going to have a competitor that is going to try and out do the other. Outdoorsy is basically the same thing as RVShare but a different name. It has a few differences here and there but all in all it is the same thing. The one thing that they do a little better at is communication. They tend to get back faster if you have questions. I would look out for Outdoorsy to try and out do RVShare in all aspects especially customer care. I would be extremely careful when using Craigslist to rent an RV. You have absolutely no protection in case of an accident or if anything goes wrong. I have heard of people renting a camper trailer from craigslist and having a good experience but I would definitely recommend you don’t do it especially when you have such good options like RVShare and Outdoorsy where you know what you are getting and you can get insurance. I may be a little paranoid here but I would rather be safe and maybe pay a little bit more than be sorry. Use Craigslist at your own risk but remember you do have better options that have RVs to rent everywhere. In all you have a couple really good options when it comes to renting an RV from an owner. So go and have some fun renting your RV and or travel trailer.